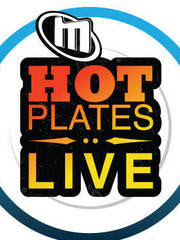 One-stop entertainment gurus Metromix are serving up another tasty installment of Hot Plates Live. The seasonal event features endless samplings from a dozen of New York’s top new restaurants and chefs--for just $15! Handpicked by the Metromix editors, this three-hour culinary delight showcases not-to-miss bites from Sunburnt Calf, Hill Country Chicken and Joe Coffee, to name a few.